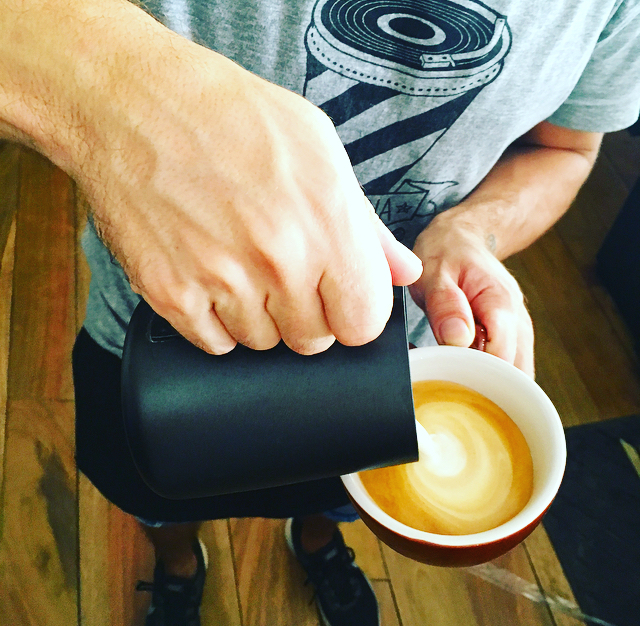 The moment you walk into Olo Alaia you are engulfed in the sights, sounds and aromas of specialty coffee. 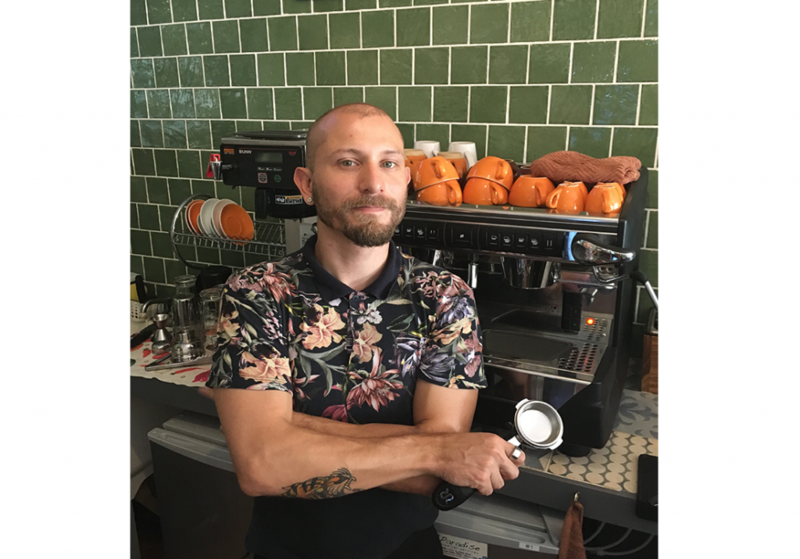 We sat down with Santiago, our barista, to talk about his life as a barista and his love for creating experiences for all while enjoying a cup of speciality coffee. When did your love of coffee start? Santiago: I grew up in between two different farms, would play in the fields and became familiar with the farming culture. When I was a child my grandma gave me really good coffee. I remember her calling me every afternoon to come over for a “gallito” and cup of coffee. The coffee tasted more like caramel in a bug mug, and the gallito was just perfect, every since then I started to love coffee. This tradition connects me with my grandparents, my grandfather passed away last year at 104 and he gave me his ring, I wear it all the time now and believe it helps me to create a good cup of coffee. I started at Kalu in 2010, the first concept space in San Jose that combined local designers and a restaurant as one. They shared the space with a contemporary museum, and created a really cool atmosphere. This is where I learned about using different devices (like the wave), and ways to create a cup of coffee. I then went to work at Coffea Diversa, as a pour-over coffee maker. At that time we didn’t have an espresso machine, so I learned all about the 15 different varieties of coffee they had. Then I moved to Guanacaste and that was the first time I used an espresso machine. I came to Olo Alaia and enjoy the surf and coffee culture they’ve created. It’s really important to me to know the difference between coffee – when you change the time, amount, measurements, etc, it changes the flavours dramatically. What’s your favourite coffee to drink? It depends on my mood, sometimes it’s a golden espresso other times it’s a pour-over. I really like fermented flavours, the more fermented the better. Fermented coffee has a science behind it where you need to know exactly when the process is done for the flavours to fully show – it has a fruity taste to it that I really like. What’s your favourite coffee to make for others? Pour overs, as it’s an experience for me to share with guests at Olo Alaia. With an espresso machine I only do 50% of the work, whereas with a pour-over it’s 100% me. I like when a customer tries the coffee for the first time and hear their reactions to it. You can create a lot of different cups of coffee with the pour-over method, it’s more sophisticated and whimsical, and I really like creating an experience for coffee-lovers. How does your art reflect each cup of coffee you create? I feel like I’m painting when I create a cappuccino or latte. Through the different tools I use, I create designs in the coffee that represent my relationship to art. I create something new all the time, it’s one of the most important things for me as a barista and artist, to be able to paint/design what I feel. When I’m a barista, I feel like I’m an artist and when I’m creating pieces of art, I feel like I’m a barista, they both go hand in hand. 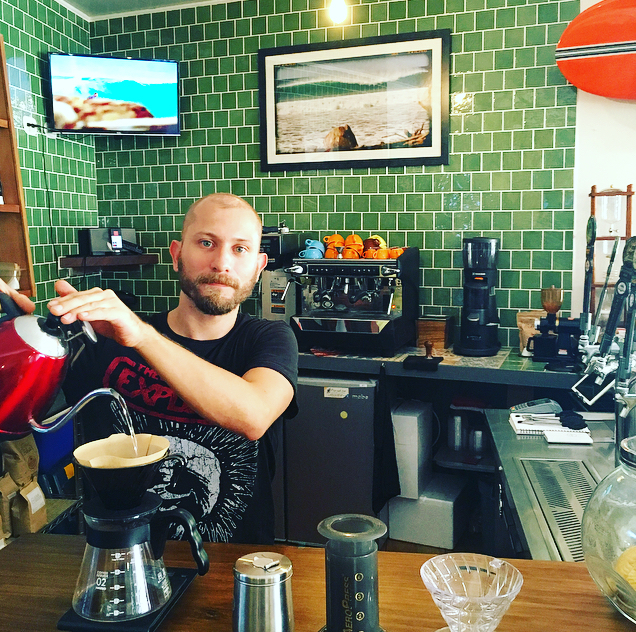 What’s your favourite part about being a barista at OA? I love how Olo Alaia creates a concept space that emphasizes surf and coffee. I started in a place pretty similar to this and feel comfortable working in a place that is open to new experiences and developing a brand that is rooted in the lifestyle of surfing. It’s more than just a cafe, it’s an experience when you get a coffee at Olo Alaia, and I’m happy to be apart of it.